The story of a haunted hospital is one that we’ve all heard. Just the run down buildings of old hospitals are enough to give a lot of us goosebumps. Since many people die in hospitals, it’s easy to understand why people feel a presence inside that they can’t describe. This is particularly the case with psychiatric hospitals. It is a known fact that patients were taken care of terribly before we were able to understand how to successfully treat mental health conditions. It’s no wonder the spirits of these people are looking for some revenge. 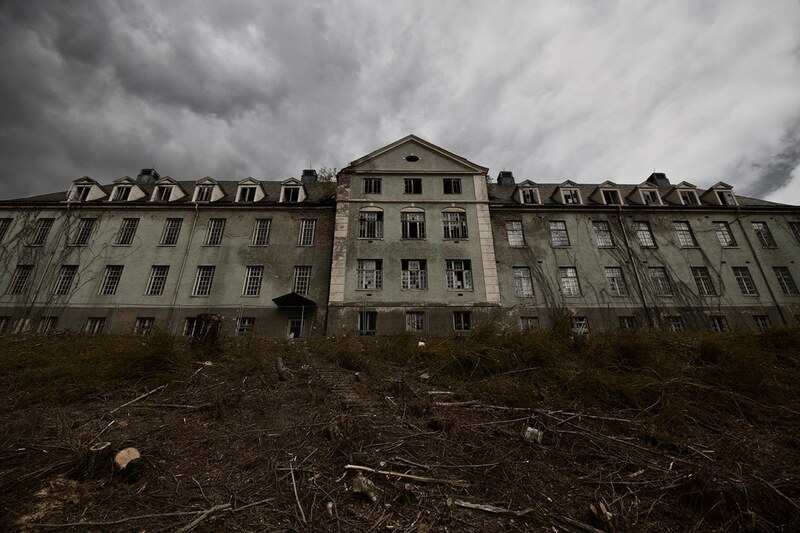 In this list, we’ll discuss ten of the most haunted hospitals in the world. Sometimes, you can just tell when a building has bad energy. 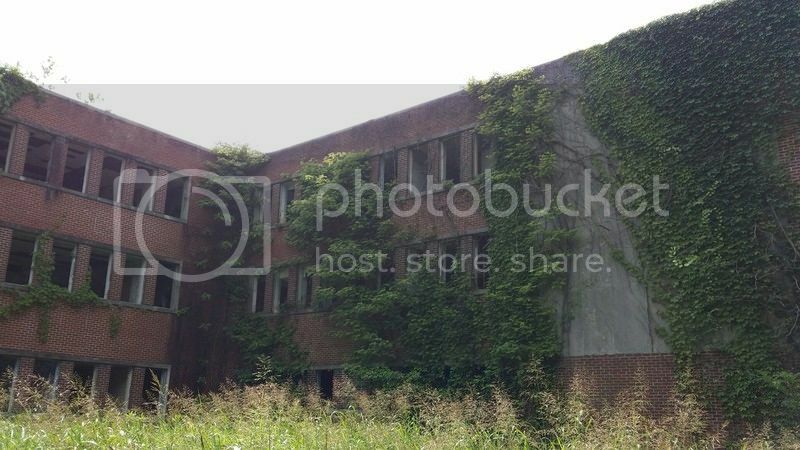 In the case of Gonjiam, it is mind blowing to think that this hospital was still operational up to 1995, just from the outside alone, it looks completely derelict. The story of Gonjiam Hospital is chilling. It is believed that the owner of the hospital was suffering from mental illness himself. He kept many of his patients prisoner and it is believed he murdered both staff and patients within the hospital. When the large amount of deaths were investigated, he fled to America and the hospital was shut down. It has now become a destination for thrill seekers, but many leave the building quickly once the shadows start to move and they feel scratches on their skin. St Bartholomew’s hospital is the oldest hospital in the UK, inside the beautiful building is a particularly badly behaved lift. It is reported that multiple doctors and nurses have used this lift in the daytime and despite an uneasy feeling have had no problems. At night however, the lift often refuses to do as it is supposed to. If a person selects any floors above, the lights go out, and the lift slowly takes the occupant down to the basement where it stops working completely. When the occupant leaves the lift in order to use the stairs, the lift comes back to life and follows them floor by floor. The lift has now earned the chilling nickname ‘the coffin lift’. It is thought that a nurse was murdered in the basement and her spirit controls the lift in the early hours of the morning. Many staff now avoid the lift at all costs. Kuhn was opened in 1830 due to a smallpox outbreak and during its life as a hospital, it was fairly uneventful. The hospital treated soldiers during the civil war and tragically lost many of its staff during the yellow fever outbreak of 1878. The hospital remained open until 1989. Since then, it has attracted many paranormal investigators. It wasn’t until 2015 that a group entered the hospital to find the body of a missing woman, therefore adding to the hospital’s creepy reputation. 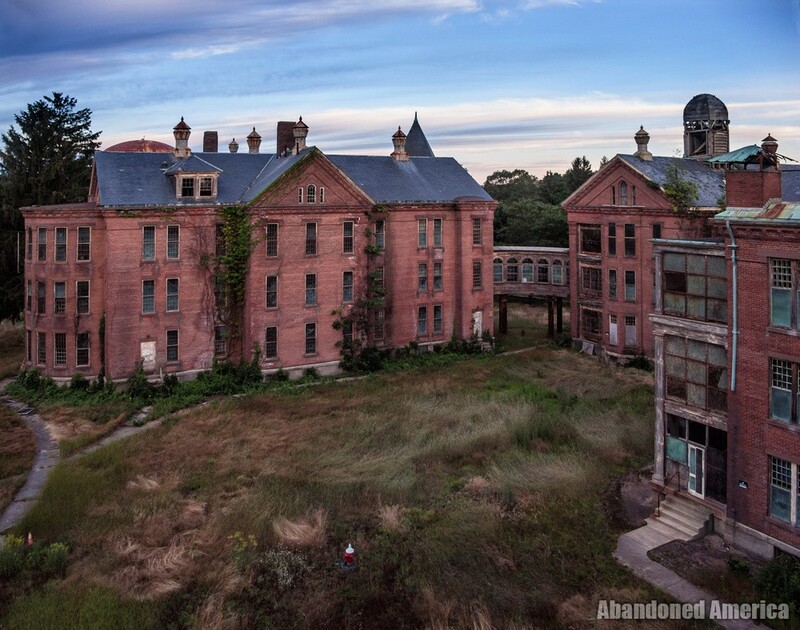 Built in 1908, Pennhurst was a school for the physically and mentally disabled. Pennhurst was almost continuously overcrowded despite its enormous size. It contained multiple buildings and more were added until its closure in 1987. Pennhurst was exposed in 1968 in a five part news report, nine of its employees were charged with mistreating patients at Pennhurst. When it was finally closed, they left everything from medical equipment to beds behind and it is claimed that eerie footsteps haunt the remaining buildings that haven’t yet been repurposed. Although much of Taunton has now been demolished, the hospital is remembered as the home of sociopathic serial killer, Jane Toppan. Jane worked as a nurse and experimented on her patients, when this was no longer enough, she began murdering them. After being convicted, she was housed at Taunton State Hospital until her death. Rumours around disappearances inside the hospital were common while the hospital was in working order. It is however unclear if these accounts are reliable due to the nature of the patients in the hospital. Alton is still open as a mental health facility, but its patients in the 1920s were subject to lobotomies and electroshock therapy. Although our understanding of mental health treatment has improved vastly since then, the hospital’s original buildings remain standing. Multiple nurses have reported hearing a man ask ‘Who’s that?’ but there’s never anyone there. Strange footsteps and voices are common within the hospital to this day. 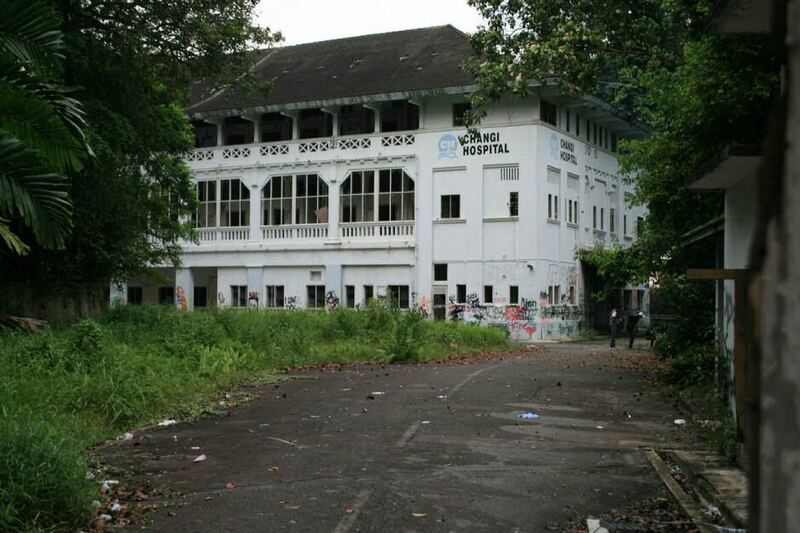 Old Changi Hospital was built by the British military in 1935 to serve as a military hospital. It later became a Japanese prison camp housing members of the Japanese military police. It is thought that one area of the hospital that contains large chains and concrete stumps was used as a torture chamber. There have been multiple paranormal sightings and video footage, including a nurse comforting a crying baby. It is considered one of the most haunted buildings in Singapore. Opened in 1921, Lier Sykehus was a psychiatric hospital that existed fairly unnoticed. However, between 1945 and 1974, its patients were subjected to abuse and experiments. Lobotomy was a favoured method of treatment in severe cases, although the hospital is well known for its use of experimental drugs such as LSD, and even radioactive isotopes. Former employees also came forward and talked about the extended periods of isolation its patients were subjected to, along with excessive use of straitjackets and various forms of restraint. Sai Ying Pun was converted into a hospital during WWII after serving as housing for nurses. Although it is now an apartment complex, many stories still circulate about the ghosts that roamed the hospital. The two most common sightings are a headless ghost and a man who bursts into flames on the second floor. 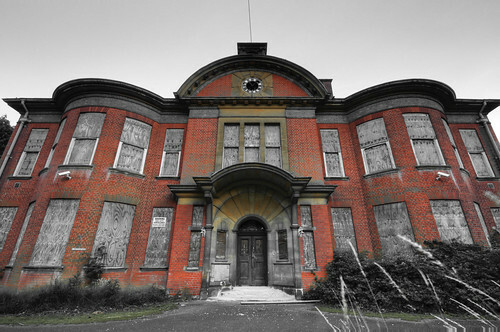 Severalls hospital was opened in 1913 and was known for experimenting on patients in its earlier years. The hospital was closed in stages between 1990 and 1997 due to the change in approach to psychiatric care. Between 1913 and 1960, experiments in the hospital included various lobotomy procedures and experimental electroshock therapy. Many urban explorers choose to enter the mortuary that still houses the body refrigerators. Chilling!